“Social Entrepreneurship in the Age of Atrocities.” Book talk on Social Entrepreneurship in the Age of Atrocities: Changing Our World. Co-hosted by Columbia University School of International and Public Affairs’ Economic and Political Development (EPD) Concentration and Management Specialization, and Columbia University’s Institute of African Studies. 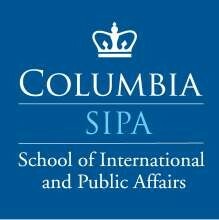 School of International and Public Affairs, Columbia University. New York, New York. 4 April 2013.